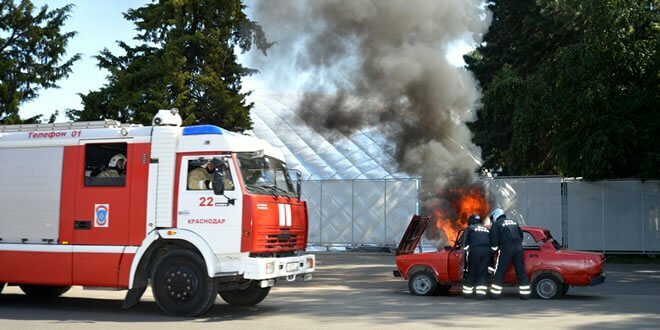 Securexpo (previously Securika Krasnodar) is the leading exhibition of security and fire protection equipment and products in the South of Russia. Securexpo exhibitors, Russian and foreign manufacturers and suppliers of security and fire protection equipment and products, have an opportunity in a short time to demonstrate their products to a large number of specialists interested in purchasing. Visitors of the exhibition are security systems installation specialists, employees of retailers and wholesale distributors, security systems and equipment operating engineers. Securexpoexhibition is the part of the ITE Group in Russia industrial portfolio of business events uniting 4 exhibitions of security and fire protection equipment and products, organised by the ITE in the Russian largest cities: Moscow, St. Petersburg, Yekaterinburg and Krasnodar.